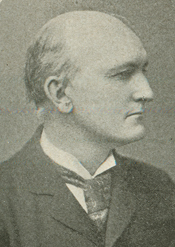 Evans, Lawrence B. Samuel W. McCall, Governor of Massachusetts. Boston: Houghton Mifflin, 1916. McCall, Samuel Walker. The American Constitution, a speech delivered by Hon. Samuel W. McCall of Massachusetts, at Jamestown, on September 17, 1907, on the occasion of the one hundred and twentieth anniversary of the adoption of the National Constitution by the Convention of 1787. [Boston: N.p., 1907]. ___. The Business of Congress. New York: Columbia University Press, 1911. ___. The liberty of citizenship. New Haven: Yale University Press, 1915. ___. Maintain the civil-service law. Washington, D. C.: Government Printing Office, 1898. ___. The scholar in politics a conservative. Address by the Honorable Samuel W. McCall, delivered before the Delta Chapter of Massachusetts, Phi Beta Kappa, June 16, 1903. Boston, MA: The Tufts College Press, 1903. ___. Thaddeus Stevens. Boston and New York: Houghton, Mifflin and Company, ca.1908. ___. Thomas Bracket Reed. Portland, ME: N.p., ca. 1911.